Autumn is here! It's time to make your plans to get away. 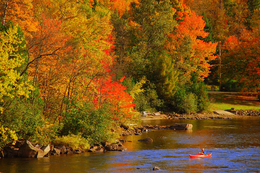 Fall foliage viewing is just one of the many reasons to take a trip. 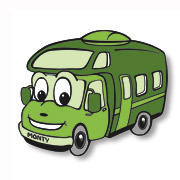 Rent an El Monte RV motorhome for three nights and get the 4th night FREE of charge! This offer is good at all El Monte RV locations (except our Texas locations) for pickup between September 22nd and November 18, 2011. A four night minimum rental is required. Maximum 1 free night. This is for new reservations only, and cannot be combined with other specials or discounts. Offer not valid for FunMover, Diesel Pushers or Trailers. This is a limited time offer that may change at any time, so make your reservations today! The 2011 NASCAR Racing Season is beginning to wind down. 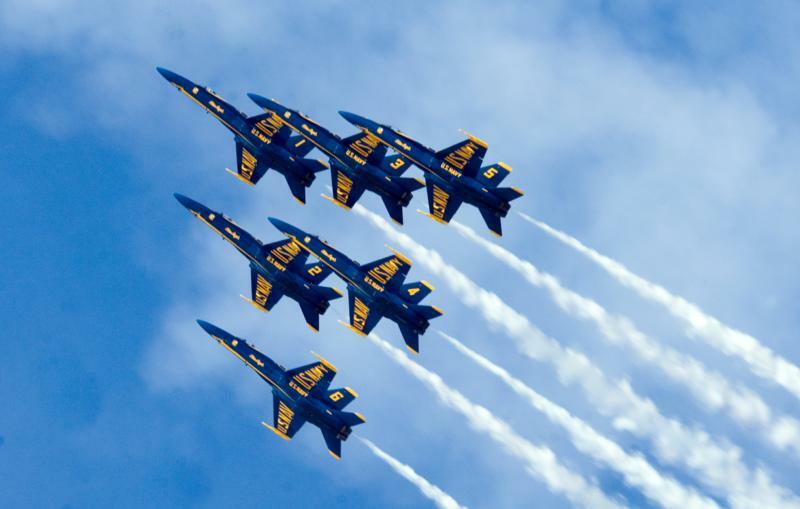 Don't miss these exciting races in October. 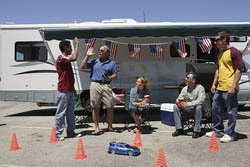 Throw a Tailgating Party in an El Monte RV motorhome and watch your favorite drivers compete! The AAA 400 race at the Dover Int'l Speedway on October 2! The Bank of America 500 race at Charlotte Motor Speedway on October 14 - 15! The Talladega 500 race at the Talladega SuperSpeedway on October 21 - 23! The Tums Fast Relief 500 race at the Martinsville Speedway on October 28 - 30! Time to Party! It's Tailgating Time! The football season continues... Grab your friends and head on out to your favorite team's game for an exciting tailgating party! Visit our College Football or Pro Football pages for more game choices. 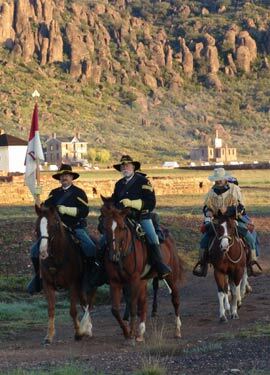 You'll take a step back in time when you visit this national historic site in West Texas. Named after then Secretary of War Jefferson Davis, the fort was ordered built in 1854 primarily to protect mail coaches and freight wagons travelling between San Antonio and El Paso (then called Franklin), and to control activities on the various war trails. During the Civil War, the fort was manned by Confederate troops, but Union troops gained control in August of 1862. In addition to the variety of things to see and experience at the fort, there are a number of places nearby that you'll want to see while you're there. Take the 75 mile drive known as 'Scenic Loop' which will take you to the fort, both State Parks and the McDonald Observatory. While there are no campgrounds in Fort Davis, two State Parks (Davis Mountains State Park and Indian Lodge State Park) are just a short 4 miles from the site. The closest El Monte RV rental location is in Albuquerque, NM. However, if starting your trip from another location is more convenient, we also have many other rental offices, so please visit our locations map to find a location that may be more suitable. ~ Wash, and thinly slice potatoes. ~ In a large cast iron skillet, melt butter. ~ Add potatoes and season with salt and pepper to taste. ~ When potatoes are almost tender, cut smoked sausage into bite-sized pieces and add to potatoes. ~ Fry until potatoes are tender. ~ Add eggs, stirring occasionally until eggs are thoroughly cooked. ~ Serve hot and Enjoy! This best selling Class C model sleeps up to eight, comes with stove, refrigerator/freezer, microwave, generator and more. Looks like new! Includes warranty.